French Foreign Minister says his country has evidence the Syrian government carried out chemical weapons attack in Idlib. France's intelligence services have evidence that the Syrian government carried out the alleged chemical weapons attack on a rebel village earlier this month, French Foreign Minister Jean-Marc Ayrault said on Wednesday. 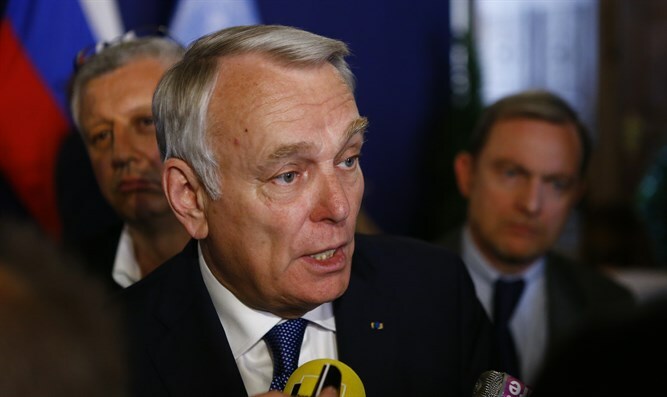 "There is an investigation underway... it's a question of days and we will provide proof that the regime carried out these strikes," Ayrault told LCP television, as quoted by the Independent. The attack on Khan Sheikhun in the Idlib province, which killed 86, was found by British and Turkish scientists to have involved both sarin - a nerve gas - and chlorine. Western governments have accused Syrian President Bashar Al-Assad’s government of being behind the attack, but Assad has repeatedly denied his government has any chemical weapons after agreeing to give them up to international monitors in 2013. Assad last week claimed that the attack was fabricated by the United States, insisting the Syrian army had already relinquished its chemical weapons reservoir. The Syrian government surrendered its chemical weapons arsenal to the Organization for the Prohibition of Chemical Weapons (OPCW) international watchdog, though since that time the OPCW has determined that civilians in Syria may have been exposed to chemicals. The OPCW blamed Assad's government for at least two chemical weapons attacks that have occurred in Syria since the country surrendered its chemical weapons, claims the president also denies.